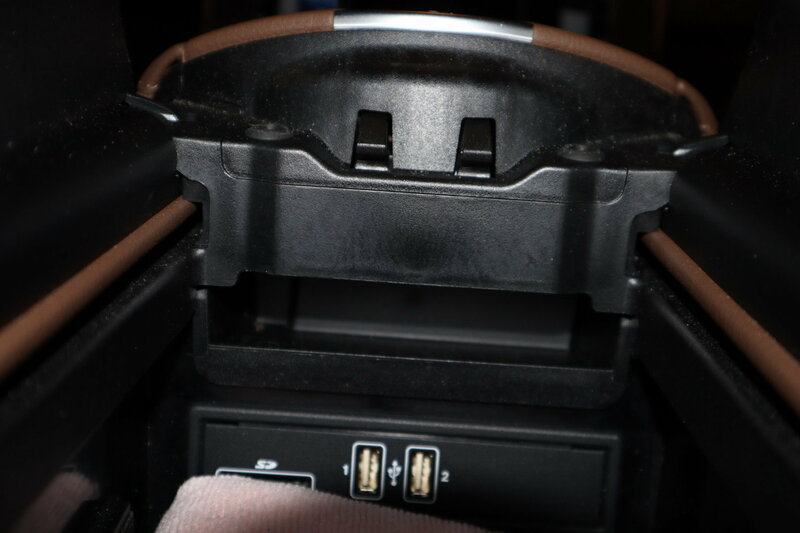 Does everyone else know about the secret little shelf inside the central cubby box of their car (between the seats)? If you put your hand into the box, and feel at the top/front, there's a little shelf there that you can keep small objects on. You can't see it, but it's there. I was delighted to discover it the other day, but now I can't decide what to keep there. Is this obvious, or was I asleep at the moment they explained this at MB school? I didn’t, but I got one of the full shelf inserts. See ‘Centre Cubby Box’ thread from a few days ago. Yes. I keep my tactical knife there. I have to check out this mysterious didn't know it existed shelf. That's no secret. It was pointed out to me by the techie that gave me the orientation tour when my car was delivered. I keep my insurance card an a copy of my driver license there. My orientation lady never pointed it out to me, so until today it was still secret as in I never knew it existed. Well I still don't as I won't get in my car until I go home tonight to look for it. I keep my insurance card on the clip under the passenger sun visor. I too discovered this by accident as I was putting stuff into the storage box. I don't know if it was intentional, secret or not, but it's nice to put a little something there that you don't want readily accessible. i've asked about that before here on the forum, but nobody knew for sure. That makes sense, but then since it's a secret, no one knows the definitive purpose, right? Drop a Benjamin in there in case you need one someday for the federales. This comment made me scrolling through this thread worthwhile. Benjamin will get you out of a murder in TJ. I wanted to say the same thing...but then it wouldn't be my secret anymore. To the OP, You sir are a genius. Now I can put all my membership cards that hang on my keychain = smaller keychain as I push in the valet key = happy pockets. Thank you!!! Interesting. Seems like I'm not the only one who didn't know this was there. Glad I pointed it out! Of course, where I'm from, we don't have Benjamins or Federales, so I'm still at a loss to know what to keep there. Better let the Border Patrol know to check for stowaways! Perfect size for a cassette tape. Great. Then you can carry your Sony Walkman with you too! The only downgrade from the C to the E is that in the C the shelf has a rubber non-slick pad whereas on the E it's just hard plastic.